Hi, my name is Choo. 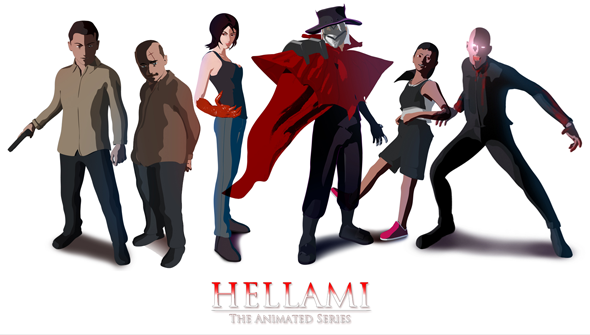 Today as a one man production team, I am making a dark action animated series titled as "Hellami, The Animated Series". 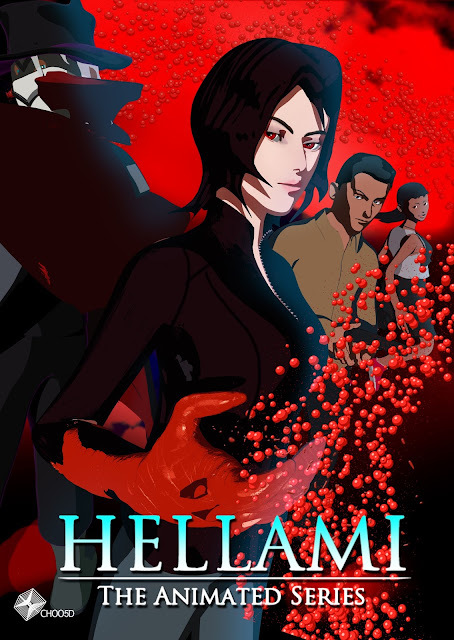 Hellami Animated series was originally a Flash animation back in 2010 which was inspired by the anime I watched. The series gained some popularity on Newgrounds.com but at that time, I was busy with my 3D animation studies and never continued the series. Until recently, when I decided to devote all my time to fulfilling my dream of making an animated series with good story and characters. The story of Hellami revolts around a disease known as Redies that turns people into 'Sharks'. They were labeled as Sharks because of their sharp teeth feature and a lust for violence. Hellami comes into the story as a foreign inspector that investigates the unusual rising number of Sharks. What's unique for the series is the coming together of Eastern and Western elements of stories and characters. Currently, I am making season one using 3D software Maya. The original soundtracks are composed by the talented composer, Bad Man Incorporated. There are two big challenges for making this project. The first one is to be able to balance both time and quality since I am doing it mostly by myself. 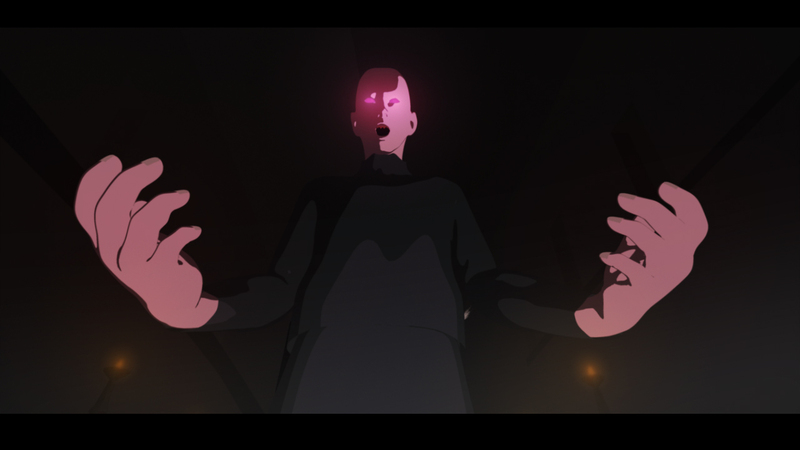 I need to carefully manage my time to finish the animation scenes and as well as maintaining a good quality. The second challenge comes from marketing. I am new to internet marketing and It can be overwhelming at times when I don't quite know where or how to promote. But slowly, I am learning to do it right and efficiently. Besides the animated series, I am also writing an ebook that shows the making process of Hellami. Anyone who is interested can download it for free on my website when I finish it by the end of 2016. For this series, I received no funding but I do have a Patreon where people can choose to donate to support me. It is one of the few ways to monetize the series. I have a part-time teaching job but making this animated series and establish my own brand has become my full-time business. I am thankful to my family that allows me to continue doing this and also grateful to the people who contributed to my project. Hellami, the Animated Series will be releasing this June 2016, I hope anyone who is reading this can go catch it! Guest post by Choo Bin Yong aka choo5d. Be sure to check out his website for Hellami: The Animated Series and more, and find his Youtube channel here. You can also find him on twitter.